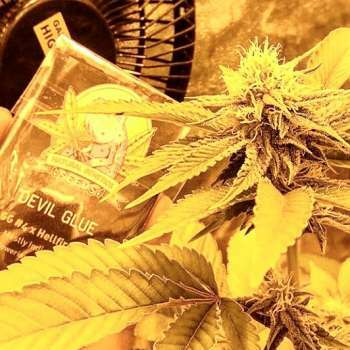 Here you can find a strain description about Devil Glue and also some user-based reviews and infos directly from the SeedFinder (if available). You can also find the offers and auctions here if Devil Glue cannabis seeds are on stock at MyCannapot right now. Devil Glue is a cross with the GG#4 and a hellfire og male coming from las vegas. The GG#4 is dominant in the cross but some specimen present the fire-sandalwood teros of the father family. Very big production of flowers and resin she grant and happy harvest in any way you grow it. The flowering time is abt 63 days. Devil Glue is not available at our shop at the moment!